This immediately creates new content. If you want to edit existing content, go to Content (under Manage) and select the content to edit. Are you sure you want to create new content? You're on your way to incredible content! "Home of America's Original Oktoberfest"
Over 7.9K reads of this publication. Add your content to Klusster and reach more people online! Any additional feedback or questions are welcome below. In the United States the car and roads built for it have played a prominent role in creating the American historical narrative. In Canada, railroads played a central role for a longer time. Roads did not tie the nation together until much later (the advent of the Trans-Canada Highway). But it was in Canada and not in the U.S. that North America first divided intercity highway was built. The road was the Queen Elizabeth Way, known also be the names QEW or Queen E. Today the highway passes through the heart of Ontario's largest industrial and commercial centres and provides vital access to the United States at Niagara Falls and Fort Erie. The origins of what became the QEW came as early as 1914, which saw the roads between Toronto and Hamilton already overburdened by the growing traffic levels. Construction on what was then known as the Queen Street Extension west of Toronto began in early 1931 as a depression-relief project. Originally, the new road was planned as a four-lane undivided highway, but following a 1934 provincial election, the Ontario Minister of Highways changed the design to be similar to the autobahns of Germany, dividing the opposite directions of travel and using grade-separated interchanges at major crossroads. When it was initially opened to traffic in 1937, it was the first intercity divided highway in North America and featured the longest stretch of consistent illumination in the world. While not a true freeway at the time, it was gradually upgraded, widened and modernized beginning in the 1950s. Just as the design of the road changed from the original plan so too did the its name. To its builders, while the new Toronto-Niagara Falls Highway was the pinnacle of 1930s highway engineering and innovation, the name "Middle Road" simply did not inspire an image of grandeur. So, an effort was made to find a new and better name,and an idea surfaced to re-dedicate the Middle Road Highway as the "Queen Elizabeth Way", to commemorate the first Royal Visit to Canada by King George VI and Queen Elizabeth (The Queen Mother). Queen Elizabeth was delighted with the honour and agreed to attend a special dedication ceremony in St. Catharines on June 6, 1939. The dedication ceremony took place near the Henley Bridge in St. Catharines. After the ceremony concluded, special decorative sculptures and elements were added to the Henley Bridge to commemorate the 1939 Royal Visit. 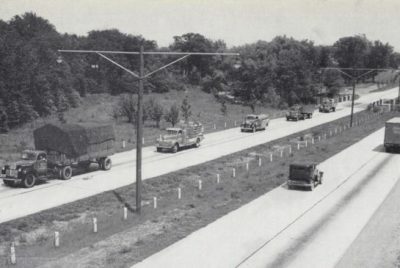 The QEW was quickly completed and was open to traffic to Niagara Falls by late 1939 (However, due to the outbreak of war in Europe, some sections of the highway were not paved until 1940). The QEW was extended from Niagara Falls to Fort Erie in 1941, but this section remained unpaved for the duration of World War II. Another extension of the QEW was constructed to provide access to the Rainbow Bridge, which opened to traffic in 1941. The Rainbow Bridge Extension met the Queen Elizabeth Way at a traffic circle, which was removed during a highway reconstruction project in the early 1970s. Circling back to a point made earlier, for the record it should be noted that while the Long Island Parkway and several similar roadways opened in the late twenties and early thirties, these parkways were designed to move traffic in and out of a city's downtown. The Middle Road (QEW) was designed to provide travel between cities, and opened a year before the Pennsylvania Turnpike, the first U.S. highway to do this. 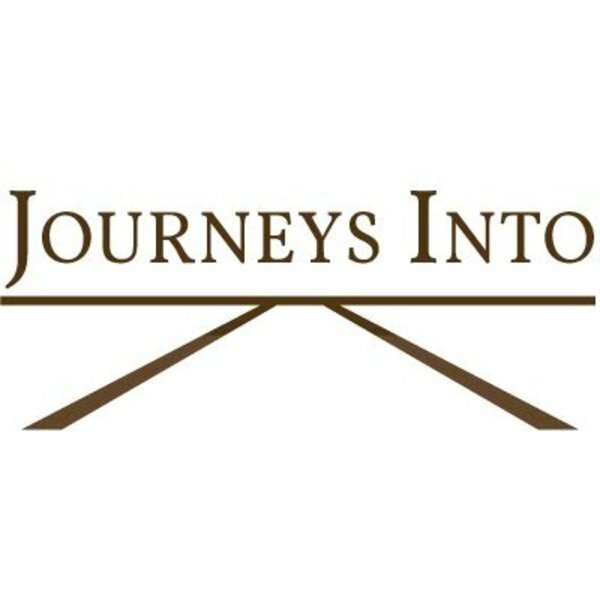 For other Journeys Into or more on Smart (Community) Narrative Making & Strategies, go to our sites, journeysinto.com and ericlmodel.com. Grow your business with clients and customers by understanding how to start connecting. How can your work benefit yourself and your community? Find incredible shops, restaurants and local businesses along Lakeshore Rd in Burlington, Ontario. Why effective, cooperative, content marketing seems counter intuitive - Why it works. Yes, please send me information from this business. Yes, please send me information from this business beyond this contact. Thank you for reaching out. We will get in touch with you shortly. Which email shall we send this to? Build a group publication with Klusster and reach more people than you can alone. Join Klusster today! © 2019 Klusster Media, Inc.